SSC examinations: The candidates can check the answer key from the official website. 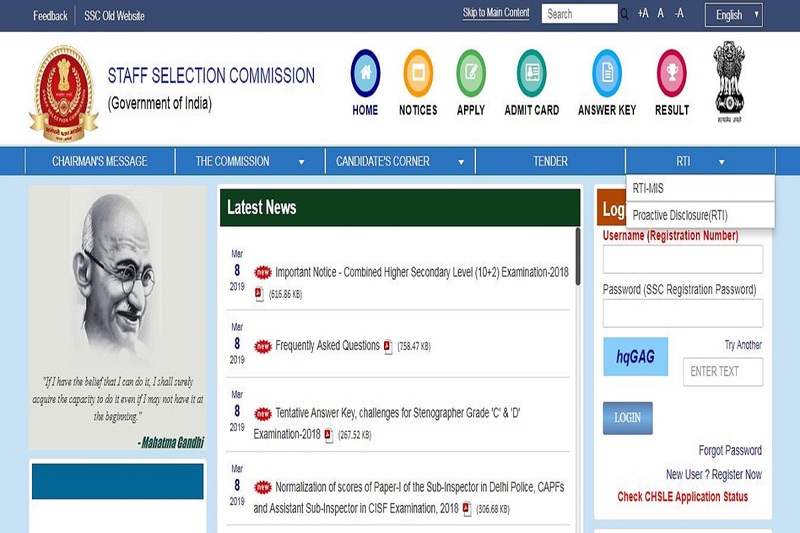 SSC examinations: Staff Selection Commission has released the provisional answer key for Stenographers Grade ‘C’ and ‘D’ examination. The candidates can check the answer key from the official website. • On the next page, enter all the details like user ID and password and click on login. • Check the details and download for future reference. Direct Link: The candidates can check the Stenographers Grade ‘C’ and ‘D’ answer keys using the direct link here. • The candidates can raise objections from March 8, 2019 to March 11, 2019. • They will have to pay an application fee of Rs 100 per challenge.